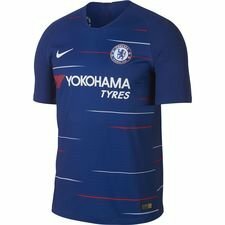 Chelsea Home Shirt 2018/19 | Blue is the colour! The new Chelsea 2018/19 Home Shirt lies close to the famous lines ‘Blue is the colour, football is the game’, which the Chelsea squad performed in 1972 after their League Cup Final against Stoke. 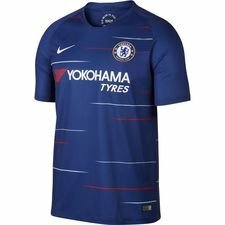 The new Home Shirt has focus on the famous blue colour, while minor graphical details on the front makes the new Chelsea 2018/19 Home Shirt more modern. The different Nike teams are slowly getting their new Home Shirt presented, and now it’s Chelsea’s turn to get a new 2018/19 Home Shirt. 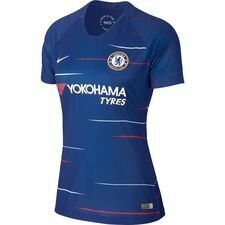 The Home Shirt sticks more or less to the history of Chelsea shirts, and is made in the famous Blue colour, which Chelsea are known for. But the Home Shirt has got some nice graphical details which gives a nice twist and giving a fresher look than last year’s shirt. Even though it might seem like a plain blue shirt, with some red and white striped splattered across, it still has some nice details incorporated in the design. 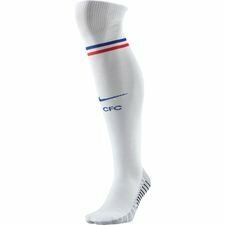 The well-known club crest and Nike logo is placed on the chest, while you will spot ‘Blue is the colour’ and ‘1905’ on the inside of the neck. The text refers to the famous Chelsea song, which they sang in 1972, while the number refers to Chelsea’s founding year. On the back of the neck you’ll find the famous Chelsea lion. The red and white stripes is not uncommon for the Chelsea Home Shirt. This is something which was used for the first time in the 60/61 season, and some which Chelsea used during the 80’s and mid 90’s. The red and white stripes are designed as a wind, or a breath of fresh air and gives a form of motion effect to the shirt. 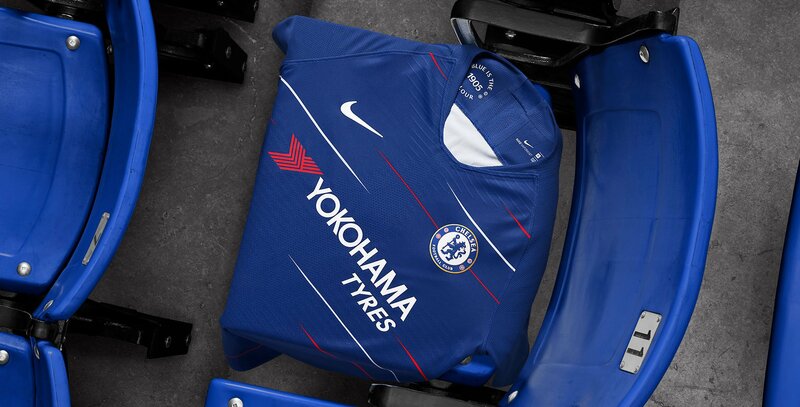 Even though Chelsea have had a bumpy season, they might need something new to get a fresh start to the new season, and the new 2018/19 Home Shirt is all about a fresh start! 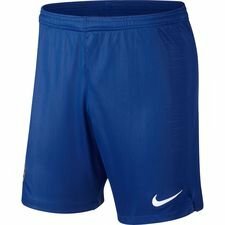 As always the Chelsea Home Shirt will have their blue Home Shorts, while the Home Socks are white with blue and red details and the top. Hoping for a fresh start, then get your new Chelsea 2018/19 Home Shirt and get ready for the new Premier League season. The Home Shirt is already available here!